This small device can protect your FFF 3D printer from two common issues - cleaning and lubrication. A sponge wipes the filament clean from any dust particles and prevents them clogging the extruder. 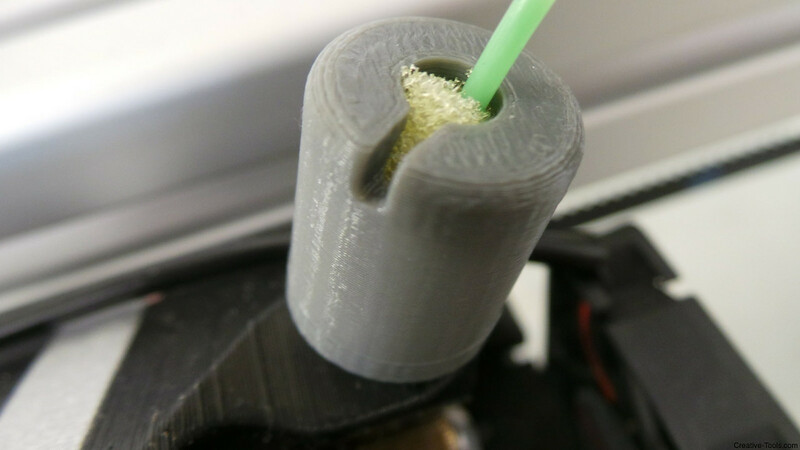 By dropping a few drops of common mineral oil on the sponge the filament passing through gets lubricated thus relieving the extruder motor from strain. 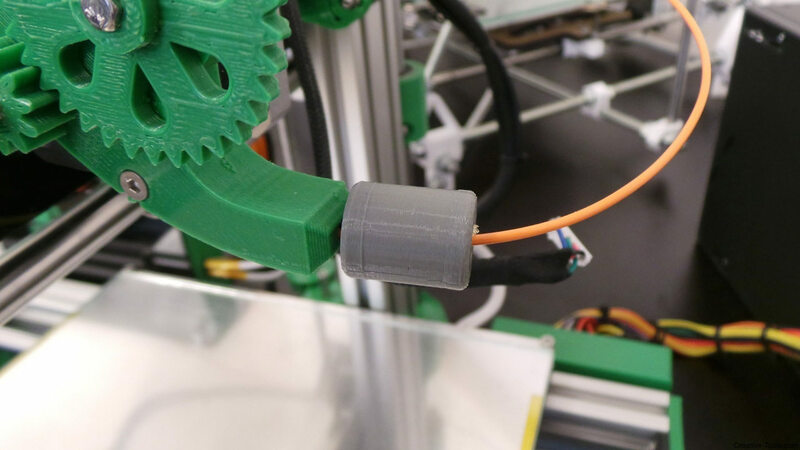 Lubrication is specially useful if the filament needs to travel through long tubes before it enters the extruder. The adapter is designed to fit most FFF 3D printer models, and is delivered fully-assembled with sponge and screws. 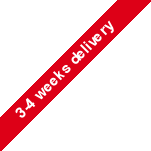 The design files of this filament filter are released under a Creative Commons license. 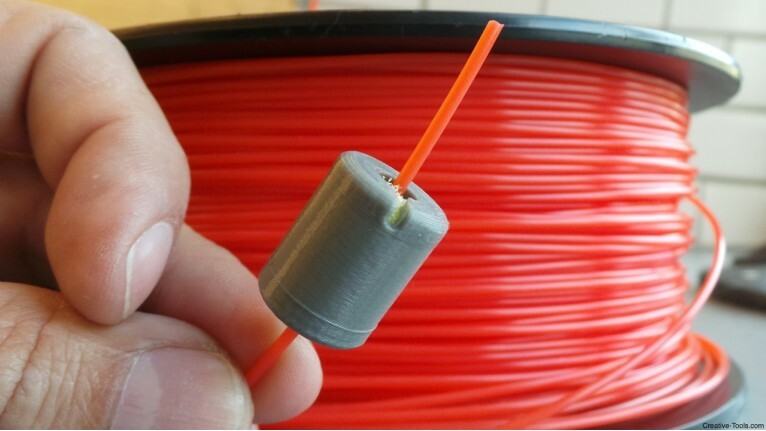 You can download and 3D print this filament filter from this link on Thingiverse.com.